Candid India aims at providing targeted marketing services to business environments across the globe. We help you get in sync with the emerging trends in the Indian market. We can help you grow your business interest in India. Our services will help you achieve your desired goals. We enable you to better understand the dynamics of the decision making process in India and help you identify the influencers that impact these decisions. Our key business strategy is to enable you to penetrate the Indian market with ease. We help identify and leverage growth drivers and opportunities in the Indian outbound market. We help you gain a deeper insight in to the psyche of the Indian traveller. 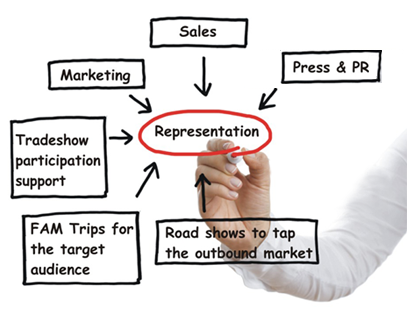 Thus enabling you to develop effective strategies to better promote your destination/brand to them. We give you a better understanding of how global and local events and trends shape the decisions of the Indian traveller.